It is design for students who have no experience with yoga and learn the basic foundation of yoga asanas as you move in a slow paced environment. You will learn the basic breathing technique and meditation. It is a Deaf friendly yoga studio and will converse in American Sign Language as a primary mode of communication. The focus is on relieving the grip of muscular and inner tension so you can become more spacious and receptive to movement within the body with environmental aids of candlelight and aromatherapy. The class begins with some gentle flow to connect movement with breath and warm the body before settling into a few yin postures and finishing with a couple restorative poses. This class is accessible to beginners, seniors, and other special populations. It includes modifications and adaptations to suit the body that is on the mat at the moment. It is between beginners to intermediate level class for student who have experienced yoga. It is a slow paced environment and you will learn about the Sun Salutations. It is a Deaf friendly yoga studio and converse in American Sign Language as a primary mode of communication. Service to others is an important part of my personal yoga practice. I love being able to share this ancient tradition with others, and watch as their bodies, hearts, and souls respond. I have been blessed by very generous teachers in the past, and I am honored to be able to pay it forward. Serenity Place DC is my way of helping my neighborhood adopt healthier lifestyles. Every Friday night, we open the studio doors to the community by offering a class for only $5. Hot Hatha Quiet & Mindful allows you to dive deeper into your practice. 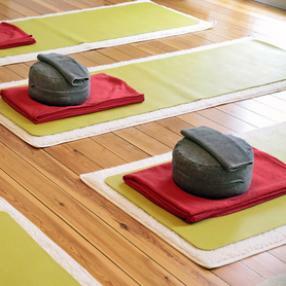 This class is for students who have taken at least 15 Hot Hatha classes at MYBO. The instructor will cue the posture name along with when to begin and release. With minimal instruction, this class is geared towards the seasoned Yogi (recommended to have practiced Hot Hatha a minimum of 10 times). This practice makes you stay present and aware of your practice more so than with full verbal instruction. Much learning can come from watching someone do something they have been doing for years. 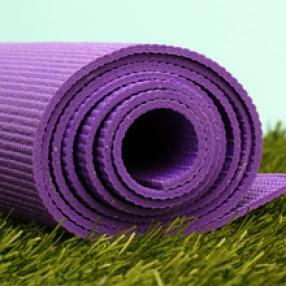 Hot Hatha Yoga classes are Mind Your Body Oasis primary yoga offering. This is a set sequence of 22-28 invigorating and challenging stationary yoga poses will work every muscle in your body. This sequence is practiced in a heated, humidified room to allow the body to detox and stretch more safely and deeply. It is a repeated yoga class for experienced yoga students and familiar with asanas in a slow paced environment. It is a Deaf friendly yoga studio and converse in American Sign Language as a primary mode of communication. If you would like to join a community of like-minded souls that are growing, changing, and enhancing their life through the practice of Yoga (postures, breathing techniques, meditation) and the 12 steps of recovery, come give us a try. We focus and have a discussion about a Step each week. All levels are welcomed and embraced. All folks are welcomed. We have lots who join us who are not in 12 Step programs, but LOVE the way of life we live. We also serve tea after each class for community. Taking care of our physical body is not addressed in 12 step meetings. I discovered Yoga in 1997 – my 5th year of recovery – not only did it enhance my recovery to another level of health and well-being – I found another spiritual community that supports me unconditionally.